Senior Advocate of the Supreme Court and Rajya Sabha Member, K.T.S.Tulsi today, while reflecting on the legal struggle of the Association of Victims of Uphaar Tragedy (AVUT), for the last 19 long years, expressed his disappointment with the Supreme Court’s response to the plea for justice. 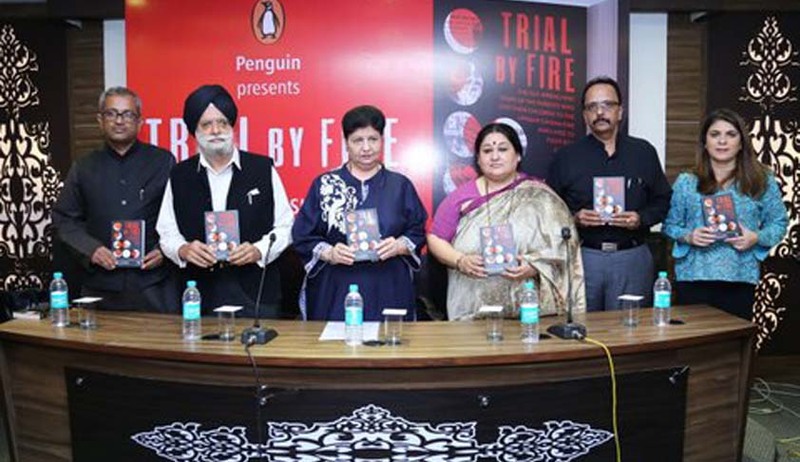 Tulsi was among the panelists at the launch of the book, ‘Trial By Fire’, authored by Neelam and Shekhar Krishnamoorthy, parents of Unnati and Ujjwal, who lost their lives in the Uphaar fire tragedy, along with 57 others on June 13, 1997. Tulsi, who has been the counsel for AVUT the petitioner in the case, to bring those who were responsible for the tragedy to book, explained that law of torts, whereever it has developed, has resulted in award of massive awards to break the back of organisations guilty of culpable homicide. But in India, we lost the opportunity to inculcate the safety culture, he said. Saying that the case was an instance of gross criminal negligence on the part of the accused builders of the cinema hall, he explained how the Supreme Court failed to deliver justice. “We asked for Rs.100 crores as compensation, but the Court said it can’t permit a tragedy to become a windfall”, he said. Comparing the case with a case of defamation, where a former Judge of the Supreme Court was awarded Rs.100 crore as compensation by a trial court for an inadvertent use of his picture by a television channel, Tulsi said the company responsible for the Uphaar tragedy should have been wiped out and shut down. Instead, the Supreme Court treated it as a road accident, he deplored. Saying that it was a foolproof case, he said the owners of the cinema hall had shut down the exit, to facilitate a better view for themselves. Recounting the progress of the case, he said, there was better justice at the trial court, while at the high court, it was okay. But at the Supreme Court, it was disappointment, as our PIL went astray, he said. Looking back the years since the tragedy, Neelam Krishnamurthy asked the audience to reflect on why the laws have not resulted in any change. She asked the audience not to sympathise, but to be more concerned with safety in public places. “Our legal battle is not a battle of vengeance”, she put it succinctly. According to her, the lesson from the Uphaar case is that the prosecution agency should not compromise. Initially, she said the Delhi Police had registered a case under Section 304-II of IPC, dealing with punishment for culpable homicide not amounting to murder, if the act is done with the knowledge that it is likely to cause death. She underlined the fact that the victims did not ask for the transfer of the case to the CBI. But the CBI, after it took over the case, diluted the charge to one of Section 304-A of IPC, dealing with causing death by negligence. She also revealed that it was AVUT which persuaded the CBI to get eminent senior advocate, Harish Salve to argue on its behalf. Salve appeared for the CBI pro bono. She emphasised the need for a good Investigating Officer, and very good public prosecutor and a dedicated legal team for the success of a case like this. She conceded that it is not possible to ensure all these for ordinary citizens. Neelam Krishnamoorthy asked Tulsi whether the Delhi High Court was not liable for failing to vacate on its own the stay obtained by the theatre owners in 1983 against the cancellation/suspension of their cinematographic licence. While making the interim order absolute on 25.3.1986, the High Court had made it clear that if there were any violations by the theatre owner, the licensing authority was at liberty to take such steps as were necessary to ensure that the violations or deviations were set right. The Licensing Authority moved an application on 19.4.1993 citing several serious violations committed by the licensee. But the High Court did not vacate the stay. Therefore the Licensing Authority had to issue temporary licences in spite of the irregularities. Both Neelam Krishnamoorthy and Tulsi agreed that in a matter dealing with safety of the public, it is not enough for the High court to say that parties did not move for the vacation of the stay. The liability of the judiciary in this case has not been explored, they suggested. Recalling the legal struggle, Shekhar Krishnamurthy said initially they believed that the case would be over within seven or eight years, but the battle continues to date. “We had faith in the judiciary, but it let us down”, he said. The panel discussion, moderated by the Editorial Director of NDTV, Sonia Singh, also had as panelists, Neelam Krishnamoorthy, and senior advocate of the Supreme Court, Sanjay Hegde. Well-known singer, Shubha Mudgal, released the book. Sanjay Hegde, in response to a question by Sonia Singh, lamented that the Indian legal system is episodic, and there is no attempt to think through the logical conclusion of a case. In his view, the seeds of Uphaar were sown in the Bhopal gas disaster case earlier, as India refused to learn how to deal with a giant corporation. Members of the audience and the panelists expressed their disappointment that the Supreme Court in the review case, showed misplaced sympathy for the age of the accused, and reduced their sentence. Though the Supreme Court allowed an open court hearing of the Review Petition on 6th January 2016 it has still not been taken up or scheduled for hearing.